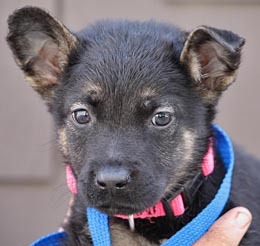 Paige's adorable 10 week old puppies are ready for the world! 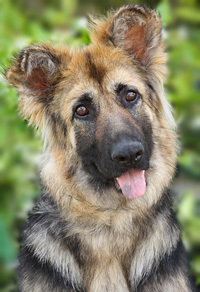 Although they have the look of pure shepherds, they are MIXES and will be smaller than pure bred German Shepherds. 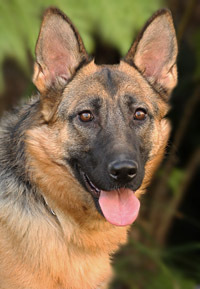 Visit their page HERE. 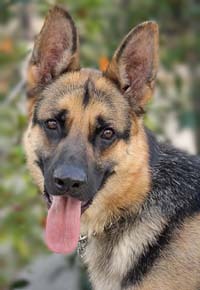 SO YOU'RE LOOKING FOR REALLY BIG DOGS? 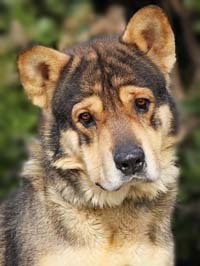 and see more pictures of them! 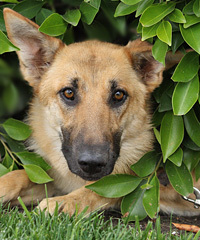 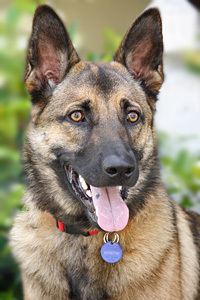 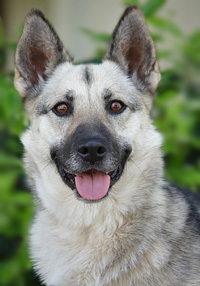 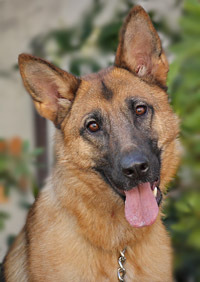 Gaby von Gardiner is a playfully sweet 2.5 year German Shepherd with an outgoing, open heart that’s hungry for a home! 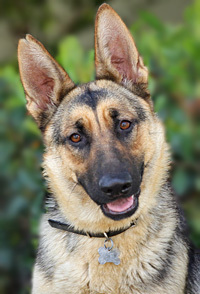 Suzie von Stuttgart is a wonderful 12 month old German Shepherd. 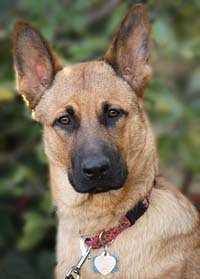 Penny von Peacock is a lovely 18 month old German Shepherd mixed with a smaller breed. 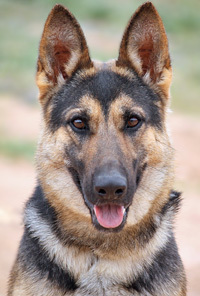 Shelby von Salvisberg is a beautiful 6 month old German Shepherd puppy. 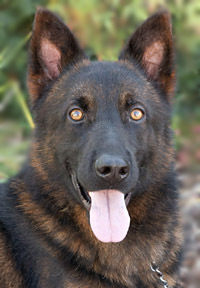 Karlie von Ryan is a stunning 12 month old black sable Geman Shepherd. 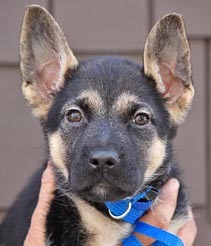 Hasha von Heidelberg is the most adorable German Shepherd puppy. 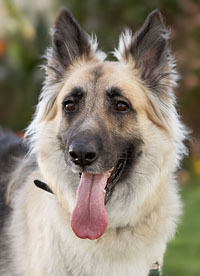 Lottie von Ryan is a gorgeous 16 month old German Shepherd. 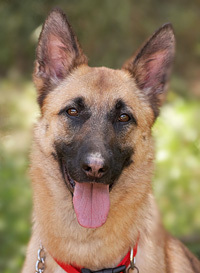 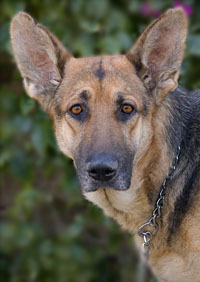 Neesa von Roper is the most amazingly sweet and easy 2.5 year old German Shepherd. 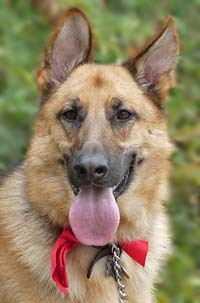 Scarlett von Salzburg is a gorgeous 14 month old German Shepherd. 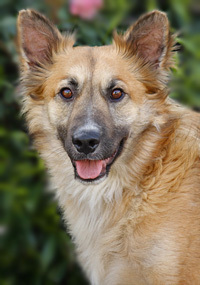 Tansy von Tanna is a wonderful 12 month old coated German Shepherd. 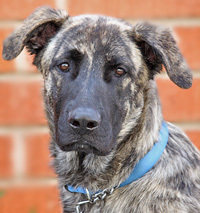 Roxy von Zils is a stunning and wonderful XLarge 10 month old Great Dane/German Shepherd mix. 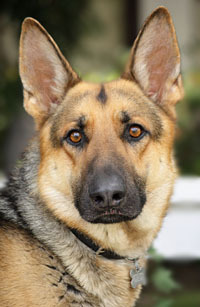 Jacy von Ryan is the sweetest 16 month old German Shepherd you will find. 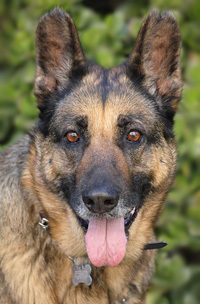 Brittany von Hollenburg is a gorgeous 7 year old German Shepherd. 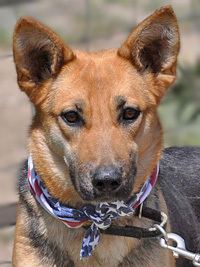 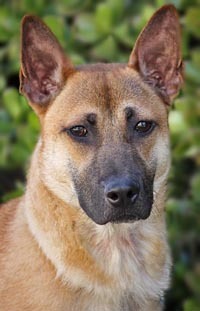 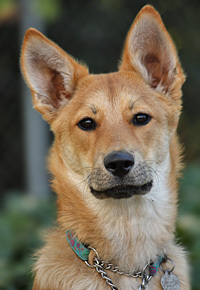 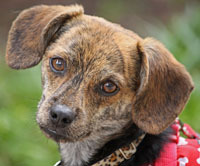 Paige von Pleinfeld is the most wonderful smaller sized German Shepherd mix girl. 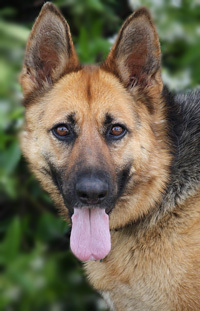 Thelma von Thrice is a beautiful 6 year old German Shepherd. 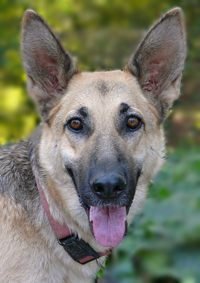 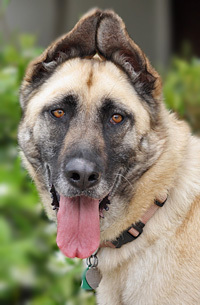 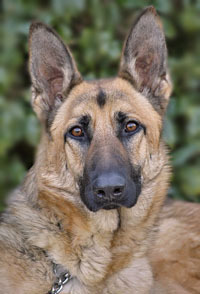 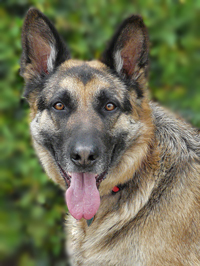 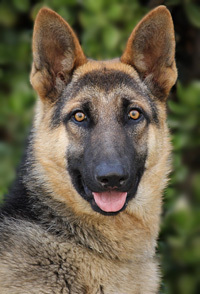 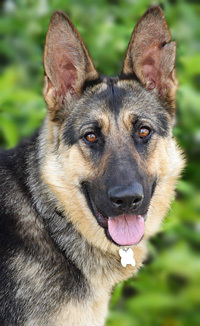 Talia von Tramell is a ravishing 3-year-old coated German Shepherd with a tender heart and thirst for affection. 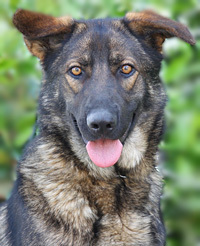 Fiona von Farlain is an adorable 12-month-old German Shepherd looking for a home with an active lifestyle. 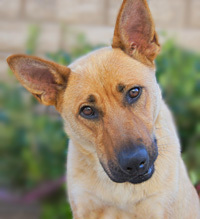 Penny von Sickle is the most wonderful and happy 2 year old Shepherd/Lab mix. 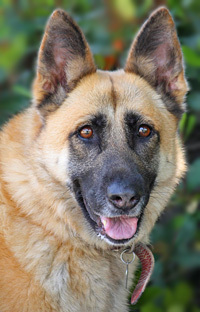 Lady Venus von Vierling is the sweetest 7 year old German Shepherd lady you will find and one of the easiest dogs you could have. 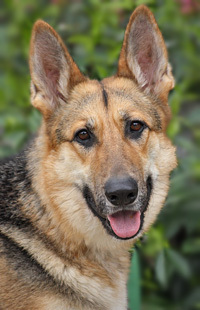 Lucy von Ynez is an exceptionally beautiful 3-year-old German Shepherd. 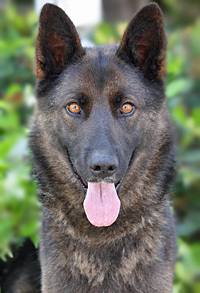 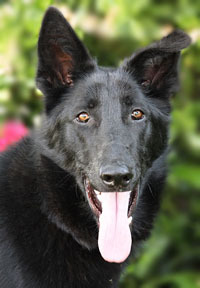 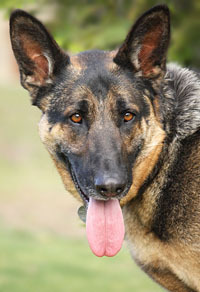 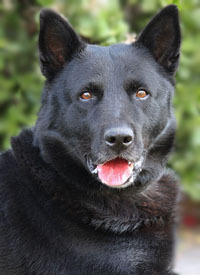 Elektra von Essel is a stunning 2 year old black sable German Shepherd. 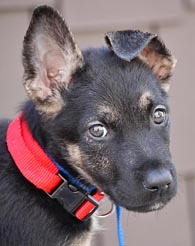 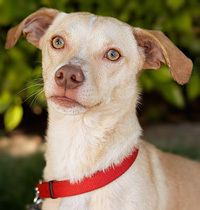 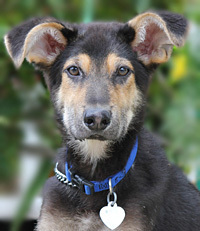 Lark von Lindberg is a 6 month old shepherd mix puppy with a sparkling personality! 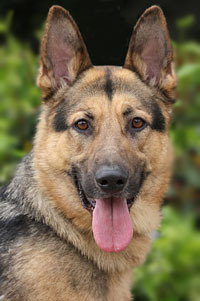 Journey von Chaplain is a gorgeous 18-month-old smaller sized German Shepherd. 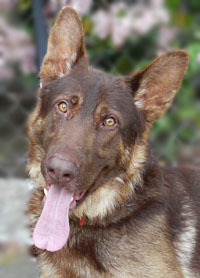 Junior von June is a stunning 7 month old German Shepherd puppy. 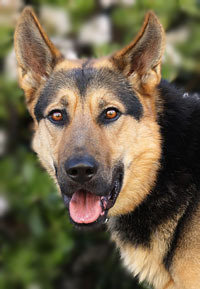 Winston von Ryan is a handsome and friendly 2 year old German Shepherd. 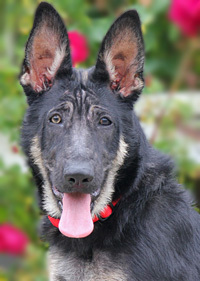 Chief von Hope is a very silly 3.5 month old German Shepherd puppy. 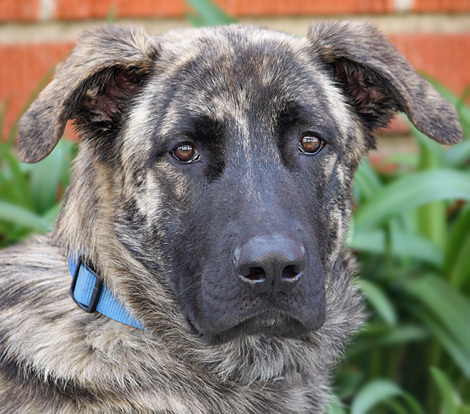 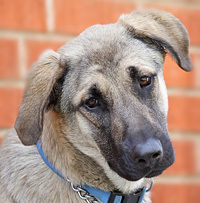 Pepe von Zils is a stunning and wonderful XLarge 10 month old Great Dane/German Shepherd mix. 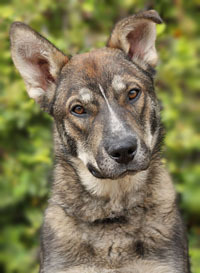 Scout von Saxler is the most loving 11 month old Shepherd/Husky mix boy you will meet. 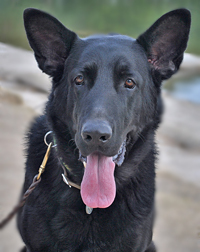 Ritter von Ryan is the most amazingly sweet 16 month old German Shepherd. 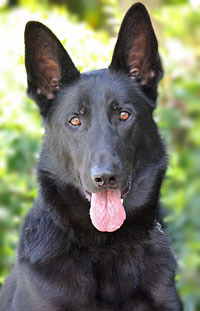 Donny von Osmond is a gorgeous 12 month old, large, dark and handsome German Shepherd. 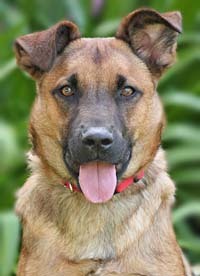 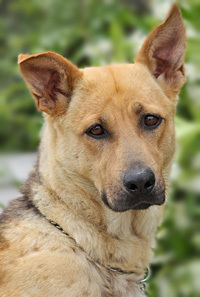 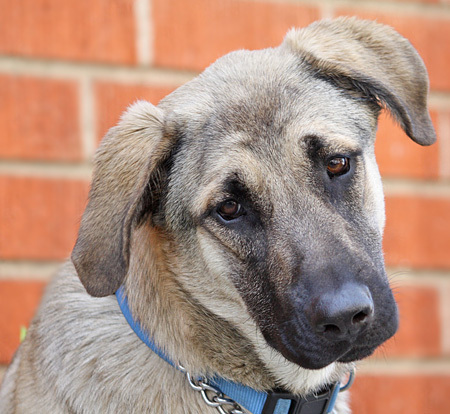 Dixon von Dreis is a delightful little 9-month-old shepherd mix with a playful and friendly nature. 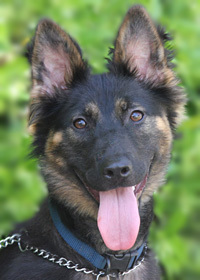 Flash von Frankfurt is an adorable 6.5 month old German Shepherd mix puppy. 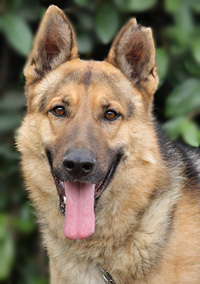 Kohl von Polein is a stunning, XLarge 2 year old German Shepherd. 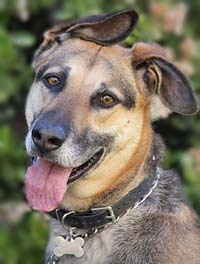 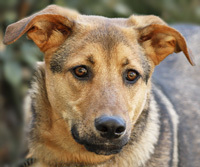 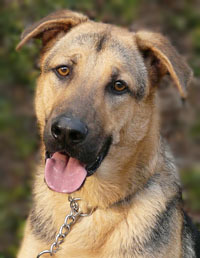 Buddy von Badenplatz is an amazingly friendly 3-year-old German Shepherd mixed with Labrador. 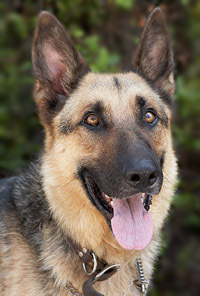 Gunther von Gendelson is a stunningly handsome 2-year-old German Shepherd. 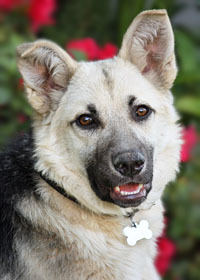 Perry von Pottsdam is an adorable 18 month old fluffy mix of cuteness. 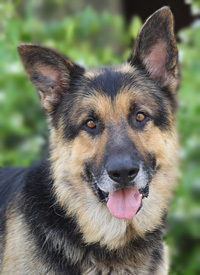 Hondo von Hausen is a handsome and playful 2-year-old German Shepherd looking for a home with an active lifestyle. 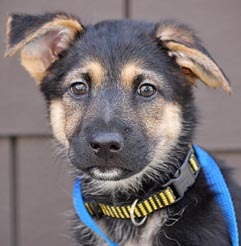 Major von Marbach is an irresistibly cute “full throttle” 6.5-month-old German Shepherd mix puppy who is already eagerly awaiting having a “big boy” job to do. 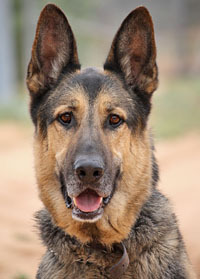 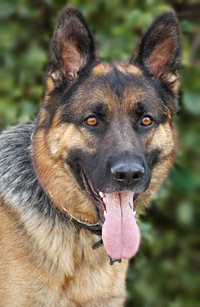 Sam von Salvisberg is a very handsome, tall, classic looking 2 year old German Shepherd. 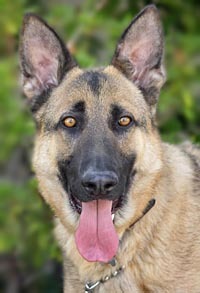 McQueen von Mannheim is a handsome 2 year old German Shepherd. 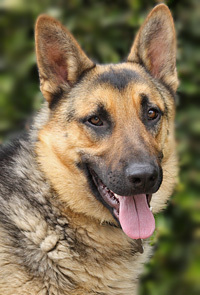 Buzz von Beezkow is a picture perfect 18 month old classic looking German Shepherd. 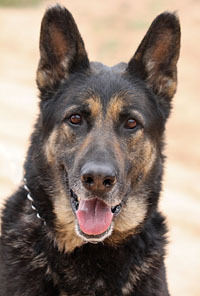 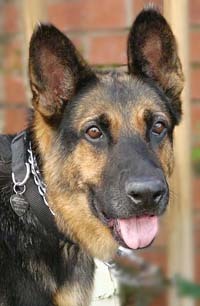 Pluto von Lawall is a gorgeous, well behaved 4 year old German Shepherd. 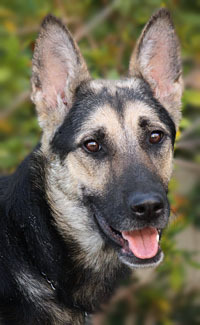 London von Sparrow is a beautiful 2-year-old German Shepherd who believes the right relationship is everything. 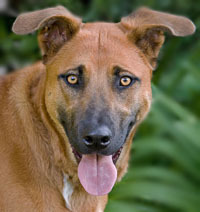 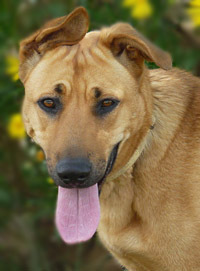 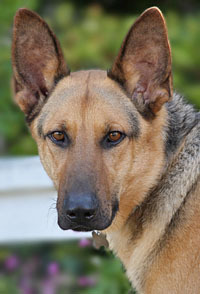 Paulie von Petersberg is a striking looking 18-month-old red sable German Shepherd mix. 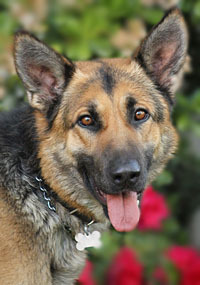 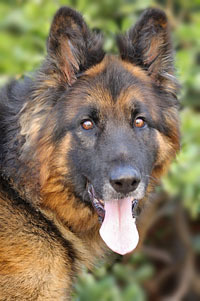 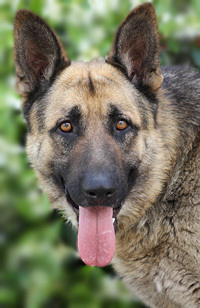 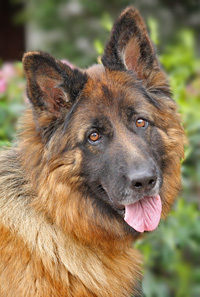 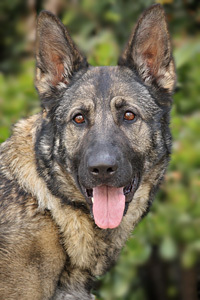 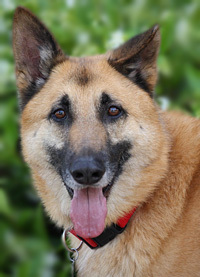 Charlie von Castaic is a gorgeous 3 year old XLarge German Shepherd.